84x39mm. 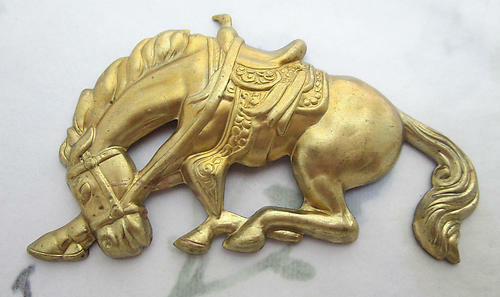 Vintage raw brass bucking horse stamping. May have some patina with age. New old stock. Jewelry supplies.